My name is Helen from Afeitar and I am easily distracted by cakes. I could happily spend all day browsing Tastespotting, dreaming up new cakes to make and eat at the weekend. Pies are okay, but slightly messy. Biscuits are good but can sometimes be dry. Cake, however, is PERFECT! I truly believe we were made for each other. 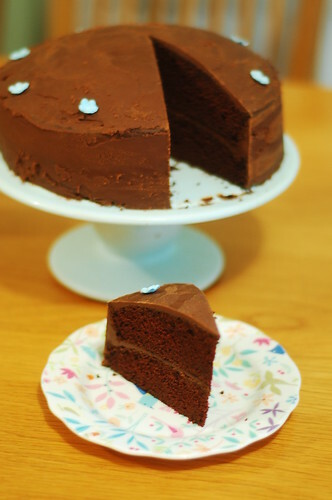 This chocolate cake is a favourite of mine. The texture of it is perfect. This cake ALWAYS gets requested my family and friends. 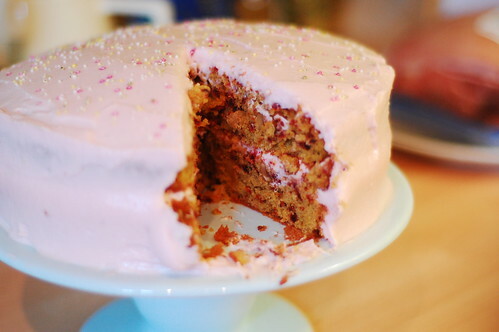 It's a beetroot cake! The beetroot is grated and the cake is slightly similar to carrot cake but about 23617 times better. The recipe can be found in this recipe book. 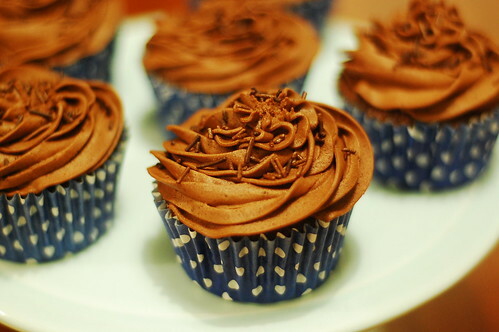 And of course, I couldn't leave out that old blogger favourite; the cupcake.